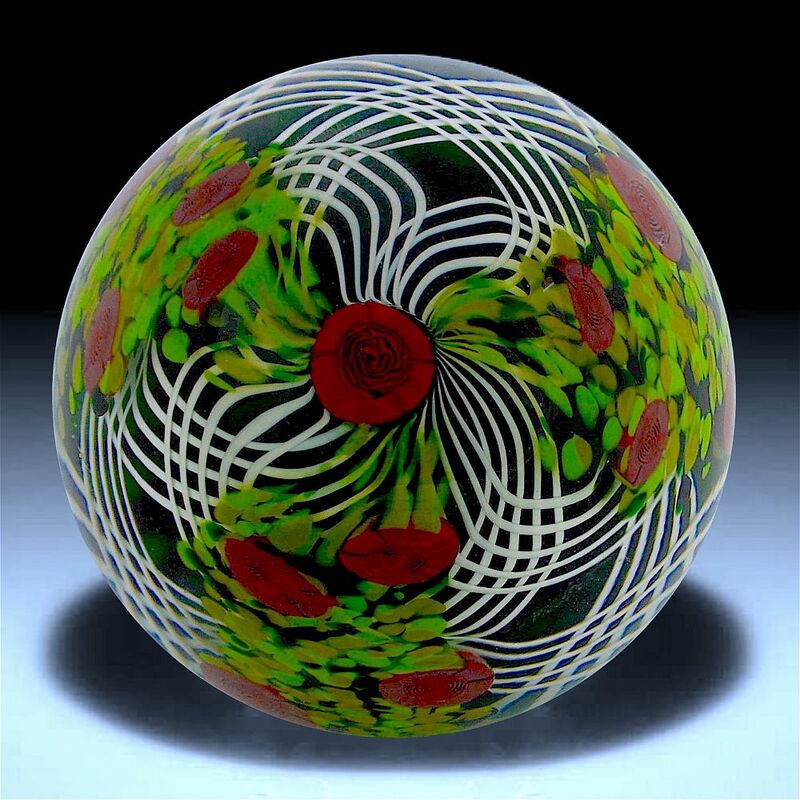 This lovely paperweight was made by Michael Hunter for Twists Glass in 2015. Known as "Lovers Meeting" it has a green background with a double twisting lattechino cane and a central red rose cane with three cascades of red rose canes. The base is scratch signed "M Hunter Twists 15 Lovers Meeting 15 of 25" and has Mike's personal "MH" silhouetted cane in the centre and a Twists Glass studio sticker.